You may not have to try them all; just work your way down the list until you find the one that works for you. 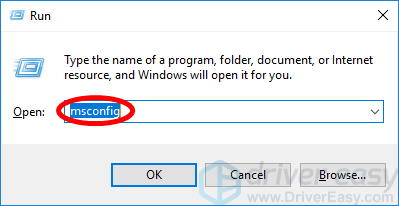 Press the Windows logo key on your keyboard and type “cmd“. 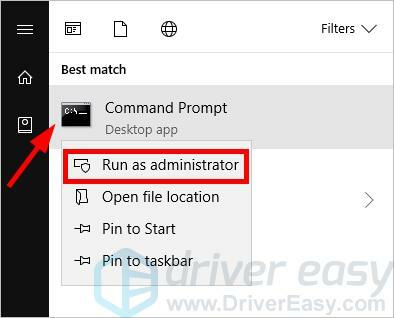 Right click Command Prompt in the list of results, then select Run as administrator. Note that this command provides your system with the repair source required by System File Checker. This is done through Windows Update. Replace [DRIVE] with the drive letter of your Windows installation media. Wait for the process to be complete. Restart your computer if this is not done automatically. 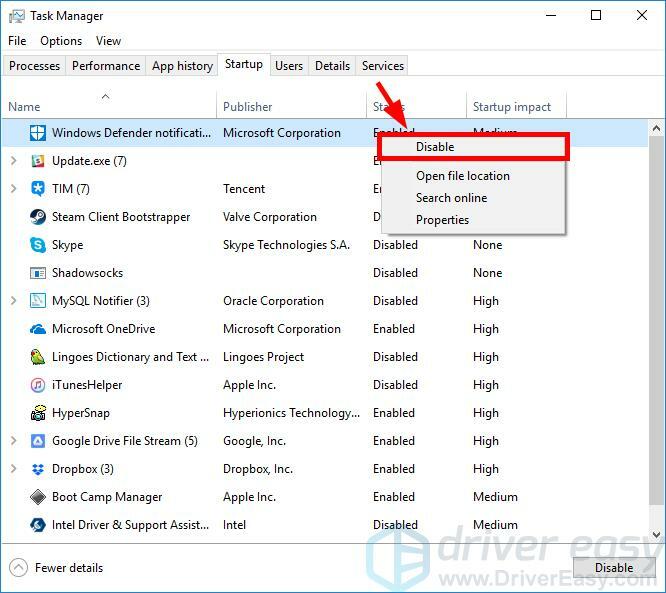 This error may occur on Windows Defender because of software conflicts. To see if that’s the case for you, try performing a clean boot on your Windows system. A clean boot is a process that starts your Windows system with only the most essential drivers and programs. By doing it, you can determine what is the cause of your computer problem if it is due to a software conflict. Press the Windows log key and R on your keyboard to invoke the Run dialog. Type “msconfig” and press Enter on your keyboard. Click the Services tab. 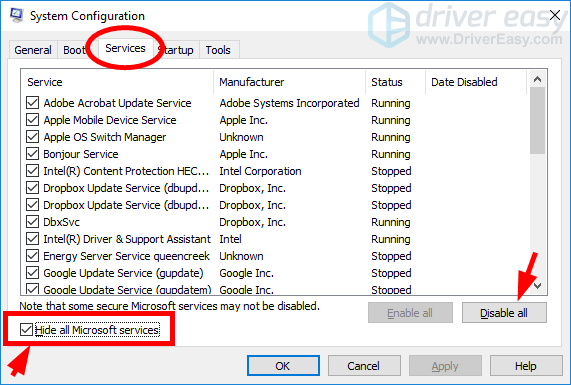 Then check Hide all Microsoft services (FIRST) and click Disable all. After that, click OK.
Click the Startup tab, then click Open Task Manager. 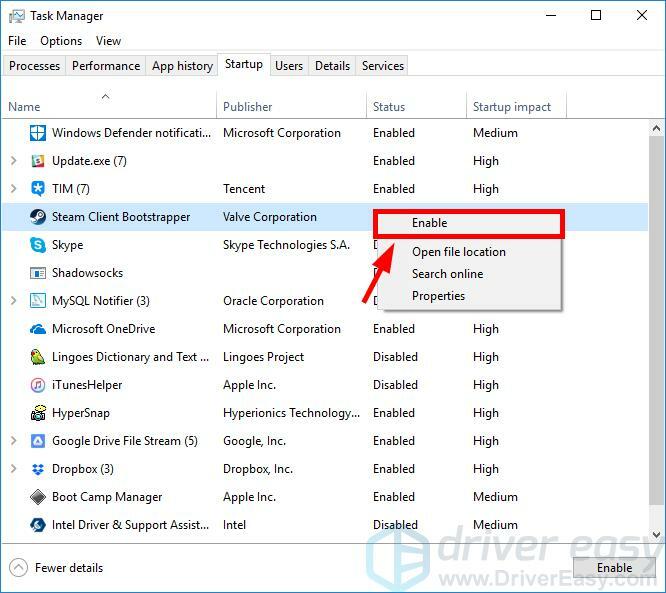 Right click each enabled Startup item, then click Disable. After that, close Task Manager. Check to see if the error occurs. If not, proceed to the next step to find out the application or service that causes trouble. Otherwise skip all the steps below and try other methods. Press the Windows log key and R on your keyboard. Then type “msconfig” and press Enter on your keyboard. Click the Services tab. Check Hide all Microsoft services. 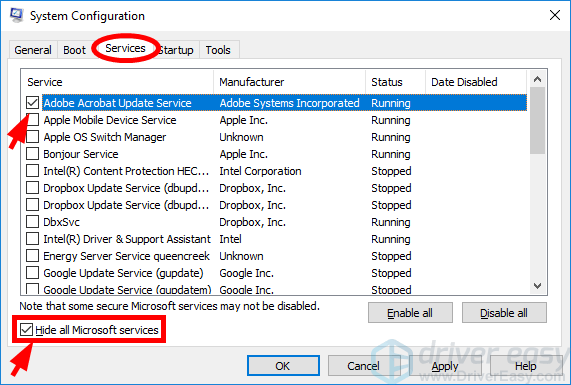 Then enable any disabled service (by selecting its checkbox) and click OK. Check to see if the error occurs. If it doesn’t, repeat step 9 to 11 until you find out the service that causes the issue. If none of these services is the culprit, try the steps below. If there’s any service that brings up the 0x80070426 error, you should do some research on the Internet to see what program is this service related to. Then contact the vendor of this program or your system for advice, or use an alternative solution. 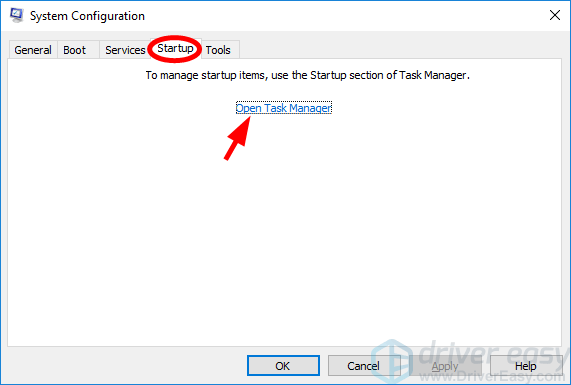 Right click one (only) disabled Startup item, then click Enable. After that, close Task Manager. Click OK and then click Restart. Check to see if the error occurs. If it doesn’t, repeat step 13 to 16 until you find out the startup item that causes the issue. If there’s any startup item that causes the 0x80070426 error, you should see what program is this item related to. Then contact the vendor of this program or your system for advice, or use an alternative solution. If you see a 0x80070426 error on Windows Update, you’re probably having an issue with this component. You should troubleshoot this issue per the instructions on this page and see if they resolve your problem. Hopefully one of the fixes above worked for you. If you have any questions or suggestions, feel free to leave us a comment below.